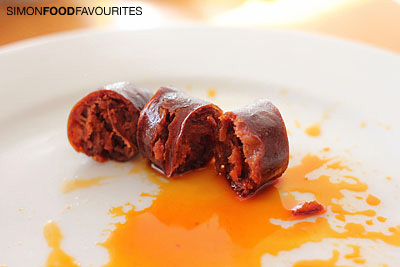 Thanks for Bianca Alosi from PEPR Publicity for sending me a sample of the Manolete Confit Chorizo to taste test. 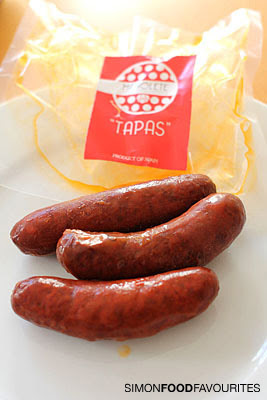 It’s imported exclusively from Spain by Idea Food and made from Spanish-reared pigs and locally sourced spices making it apparently the only 100% Spanish chorizo available in Australia. 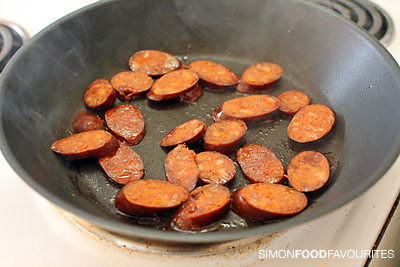 I usually enjoy the texture and taste of chorizo, especially when simply pan-fried or grilled, but found this one a lot different to what I’m used to having. Its texture was soft and slightly grainy instead of firm and meaty and its flavour was perhaps too overly spiced with paprika for my liking. 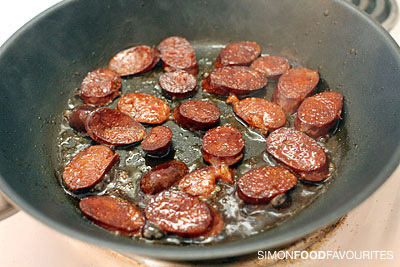 I chose to cook the chorizo two ways. 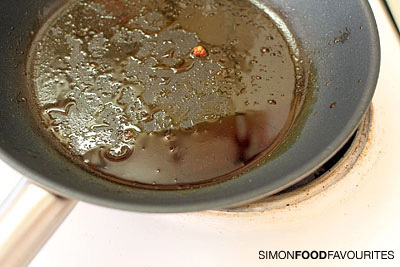 Pan-frying both sides as well as in the microwave for 45 seconds as suggested. I preferred the frying which provide a slight crisp coating but amongst the four taste testers including someone Spanish we all would have preferred a firmer texture which we were half expecting. Microwaving was even less preferred. We thought the rich flavour and softer texture would have definitely been better suited and appreciated in a pasta sauce, pizza topping, paella dish or combined with other ingredients as a Spanish influenced canapé perhaps. 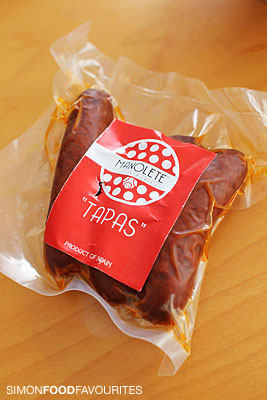 Perhaps my palate is too use to the Australian chorizo and can't appreciate the Spanish version? Ingredients: Spanish pork loin, salt-pork, paprika, salt, pork belly and sunflower oil. Sounds like they'd be good in a stew. 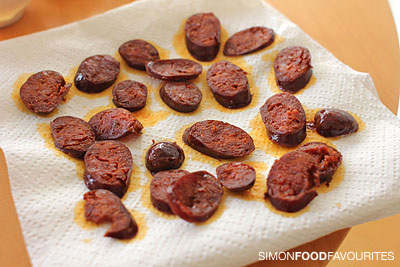 One thing I have noticed in Australia is that the chorizo I have bought are great as a snack done on the BBQ, but lack the punch when used as the base of a dish. 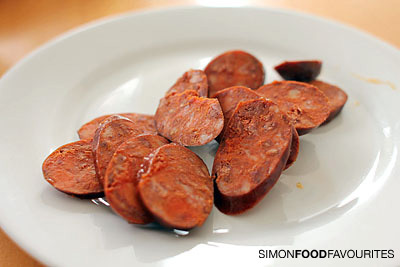 This is a chorizo that is much like the stuff I've had in Spain. Drier, more favour, more fat. The flavour it gives to dishes is quite delicious so I'd never eat it on its own, let alone microwave it. Sounds like more authentic than more chorizo-style sausages sold here. Expensive though. Have to agree with the crowd. The texture looks exciting and I hear it packs a big flavour punch, which is good. 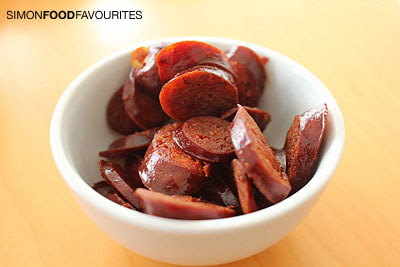 I hate flavourless chorizo.